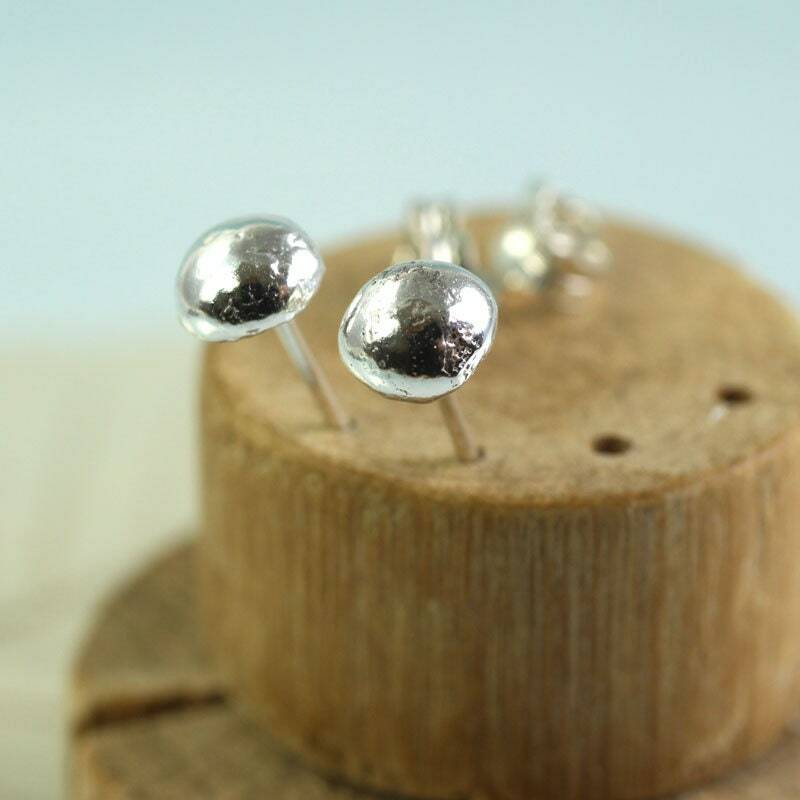 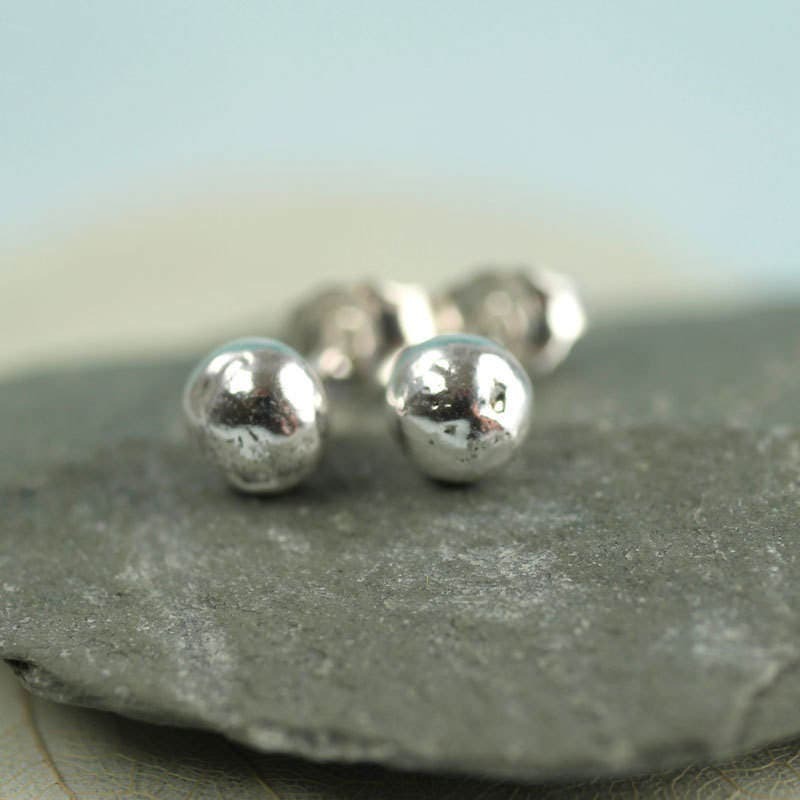 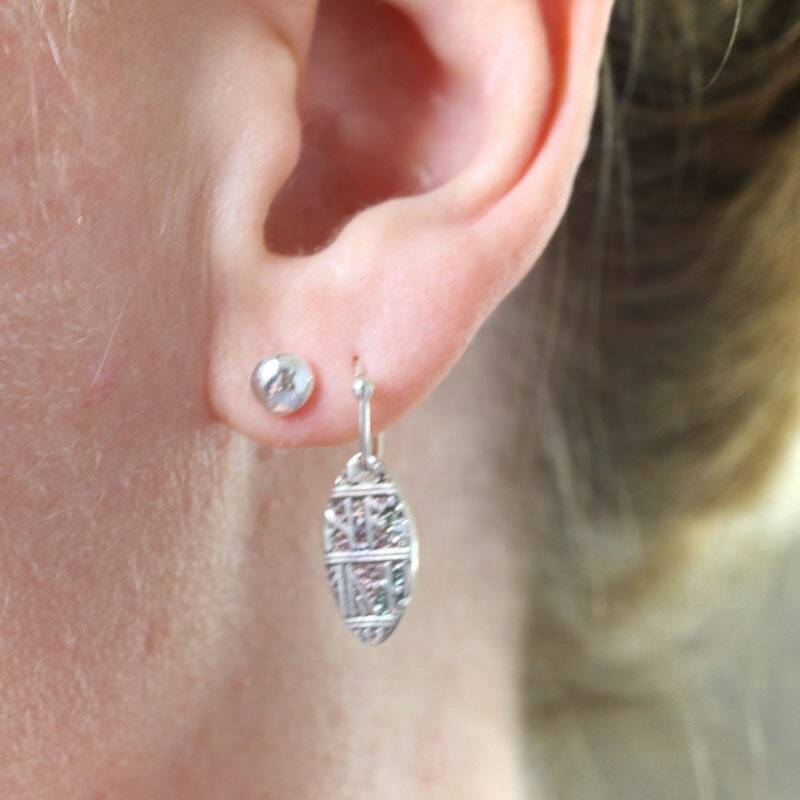 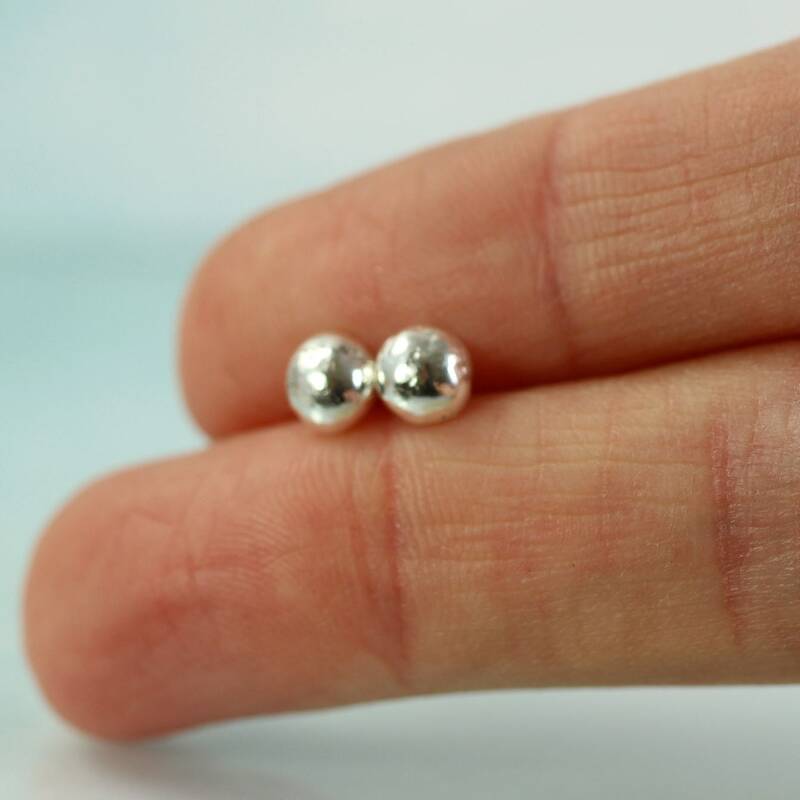 Classic silver ball post earrings has been given a bit of character by using recycled silver. 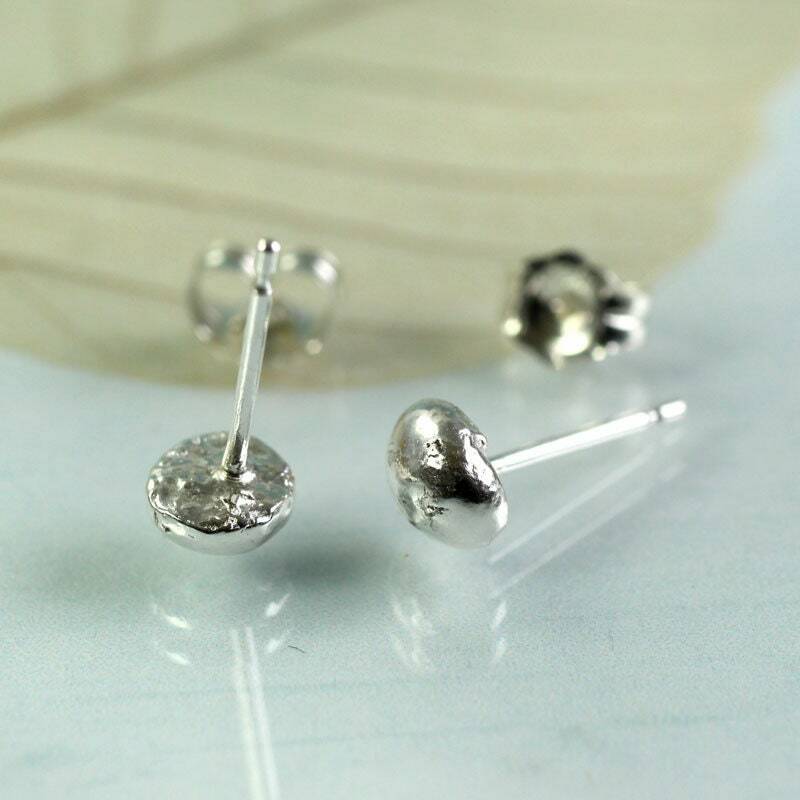 I have melted cut offs and scrap sterling into little nuggets before adding posts to the back. 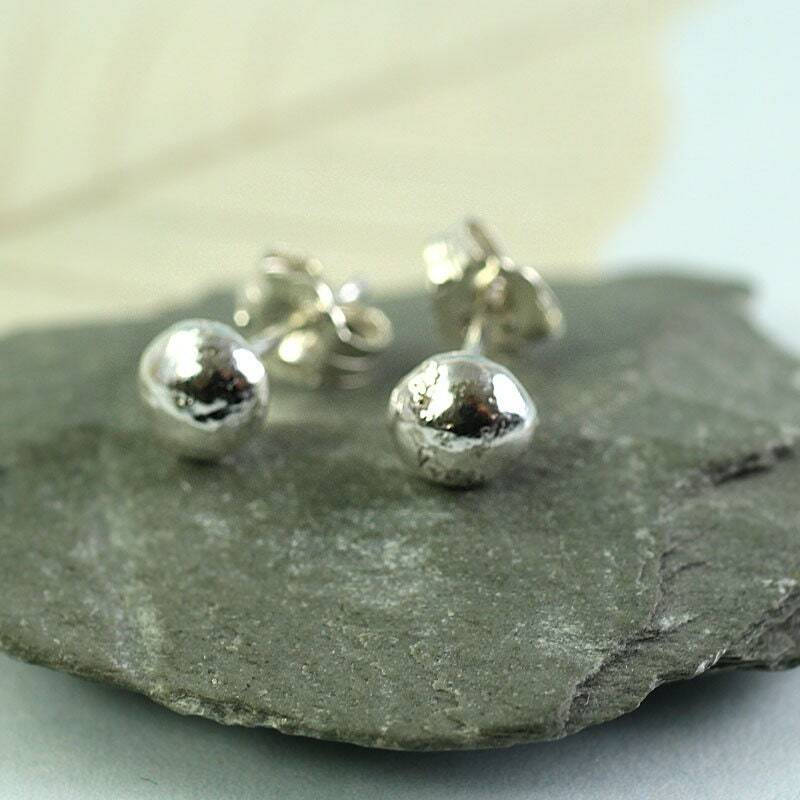 As the silver is melted on a charcoal block they form lovely little balls with a flattened bottom, perfect for adding the wire post. 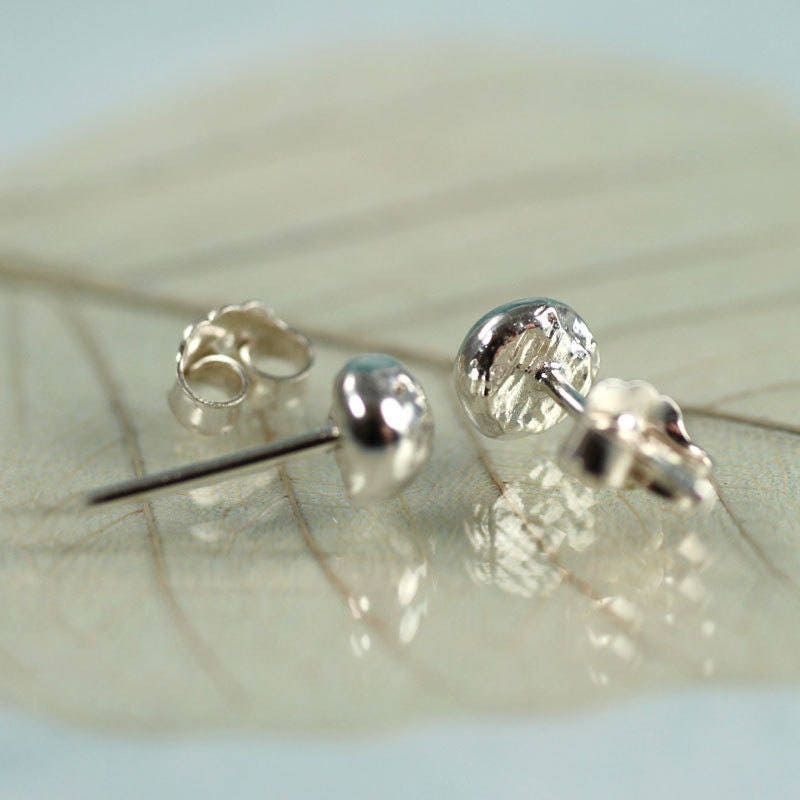 They have pits and irregularities which makes the surface look organic and interesting like little pebbles. 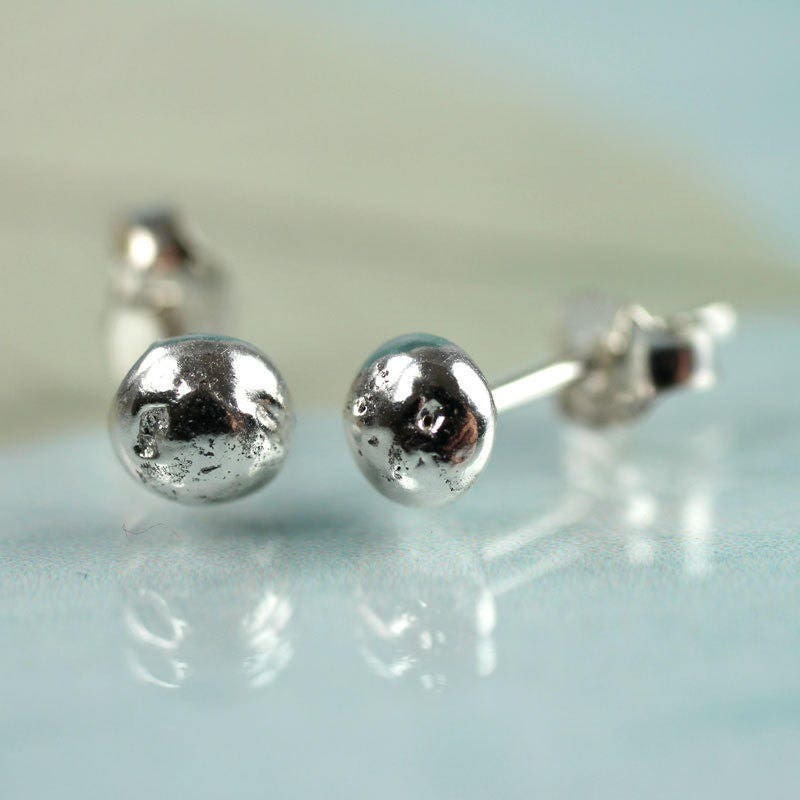 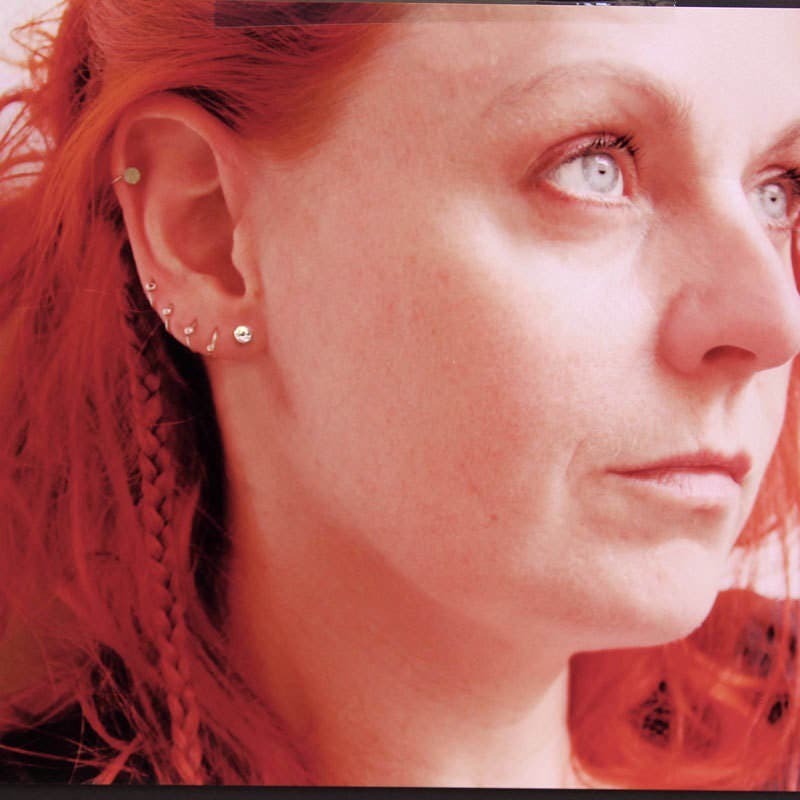 The balls are about 5 mm in diameter with sterling silver posts and butterfly scroll backs. 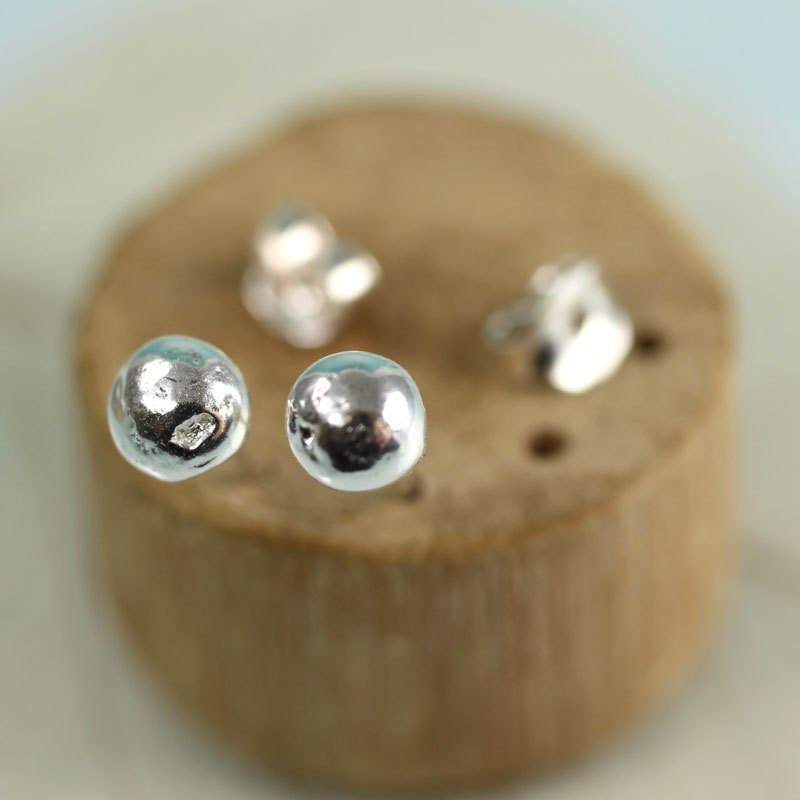 Comes in a cute little box ready for gift giving.